What makes us the BEST KARAOKE IN NEWCASTLE? 20+ years experience in karaoke, 1o years experience in commercial radio and 30+ years experience in the Information Technology (I.T.) and 5 years doing stand up comedy make for a well-qualified compere. One who is ready for most situations and who can fix problems should they arise. One of the only operators in Australia who rocks up with $20k worth of equipment at each gig. 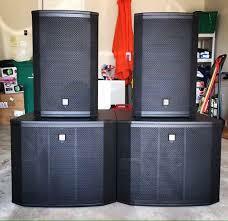 Dual 18″ Electrovoice Subwoofers (ETX-18SP)’s at every gig. Dual 15″ Electrovoice powered speakers (ETX-15P)’s at every gig. Extensive lighting and laser equipment. Constant Music Videos as backing between songs from beginning to end, with said videos being projected or displayed on big screen(s) at your venue. Redundant equipment. We have designed our rig so that the gig can go on should the unimaginable happen and some equipment fail. Highest quality Shure radio microphones. 4000 Lumen projector at all gigs. Adjustable height singer screen on a stand with wheels at all gigs. MASSIVE song list. Rarely do we not have the song someone is after. In the RARE event that we don’t have it, we endeavour to purchase it ONLINE during the gig or by the following week at the latest (for regular patrons). Karaoke Cloud technology allows the downloading of brand new songs in real time at the gigs. Songs typically downloaded within seconds of searching for them and adding them to our Cloud account. Spare Laptop at each gig. As mentioned, we carry many spares but none as are important as having an identical, fully setup laptop ready to go at all our gigs. Our super fun vibe is conducive to having patrons stay longer. The atmosphere we create typically maintains and builds a more lively crowd, typically the type who actually spend money at the venue on a regular basis and NOT the ones who just rock up and drink water all night as some of our competitors seem to attract. We are very conscious of why we are hired by pubs and clubs and work hard to get the right type of crowd (and build it over time). Singers are alerted by smartphone app (if installed on their Android or IOS device) and by ticker tape display on our large projected screen as to when their turn is and what order they are in the rotation. 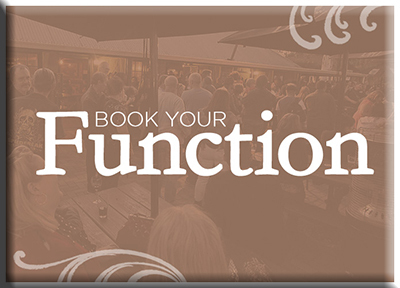 Our software allows for advertising of any special and/or promotions your venue is running. We can also customise our projected background image to promote your venue graphically and exclusively. We are very active on social media and our website is second to none in the Newcastle karaoke scene. We always actively promote our gigs and encourage attendance online. We have a range of backup staff and celebrity guest comperes (radio celebrities from Newcastle, Sydney and the Central Coast) that can attend the gigs (at an additional charge) for special events or promotions. Our vehicles are well sign-written and further promote our gigs and subsequently the numbers who attend your venue. A substantial number of 240+ page physical songbooks with adequate pens/pencils and song slips always at our gigs for those who like to do it old-school style. Our equipment is regularly tested, serviced and upgraded so our gear is always up to date and state of the art. We put a substantial percentage of the money we charge back into the business which is certainly not something that can be said by a lot of our competitors who use old, unreliable, low-end and outdated equipment that can fail at any time. We only employ and send professional, qualified people to do our shows. We don’t employ “Karaoke enthusiasts” or send amateurs with second-rate gear to do our shows. Even our spare equipment is far better than that used by many of our competitors. Our main compere is also a qualified I.T. technician so when something does go wrong with equipment and computer software, it is diagnosed and rectified immediately. In over 20 years we have ALWAYS started and finished our gigs according to schedule. These are just some of the reasons that you should choose Karaoke Newcastle over our competitors but don’t just take our word for it. Check out our VIDEO PLAYLIST online and you will see and hear the difference. 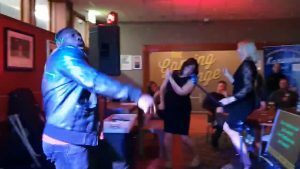 Book us for a few trial gigs at your venue and you will see why we have been the premier choice of karaoke operator in Sydney and Central Coast over the years. We are now in Newcastle and look forward to working with you.